One potentially important category of evidence at the Pentagon that was originally overlooked is the 9-1-1 call recordings from immediately after the attack. Critics of "The PentaCon" have often said that there should be many reports of eyewitnesses to a plane that flew over the Pentagon. But how do they know that there weren't when the evidence for what people really reported that day before the media propaganda set in was covered up? The 9-1-1 call tapes and transcripts were quickly confiscated and permanently sequestered by the FBI. This is just as incriminating as the fact that they have refused to release any of the clear video of the event. 9-1-1 calls are typically available for the public and in fact they were released for the attacks in New York. So why not in Arlington? 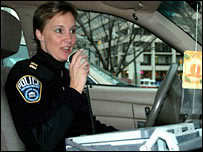 We spoke with the Arlington County Communications office and the head commander at the time, Captain Michelle Nuneville. We met with her in person and she played for us the fire and police dispatch tapes. She said that typically the 9-1-1 calls are always available as well and she seemed genuinely perturbed that they had never been released to the public. She is no longer in that position and has been replaced by John Crawford. 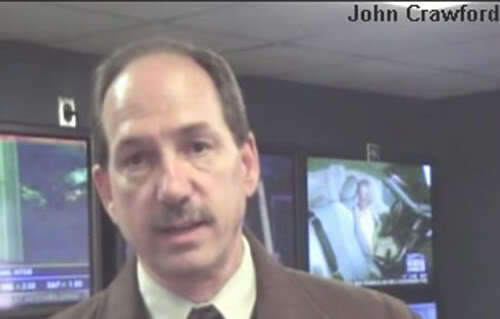 We have followed up with John about the 9-1-1 tapes and ultimately he said that he believes they will never be released in case they need to be used for a future trial to convict Bin Laden or someone. This makes no sense in light of the fact that they have released the 9-1-1 calls from New York. Obviously they would have no problem releasing this information if they had nothing to hide. Since years have gone by since the attack and we already have proof that the plane was north of the gas station and therefore did not hit the light poles or the Pentagon, it's safe to say that even if the calls were released today we would have to suspect them as having been vetted or even manipulated. Because of this we make it a point to only rely on independent verifiable evidence to determine what really happened that day. We are forced to be skeptical of anything that has been sequestered, controlled, and provided for by the authorities. Since we know we can not trust those who have controlled this evidence, we do not call for the release of the 9-1-1 calls or the videos and are merely pointing out the demonstrable fact that there has been a cover-up of this evidence.